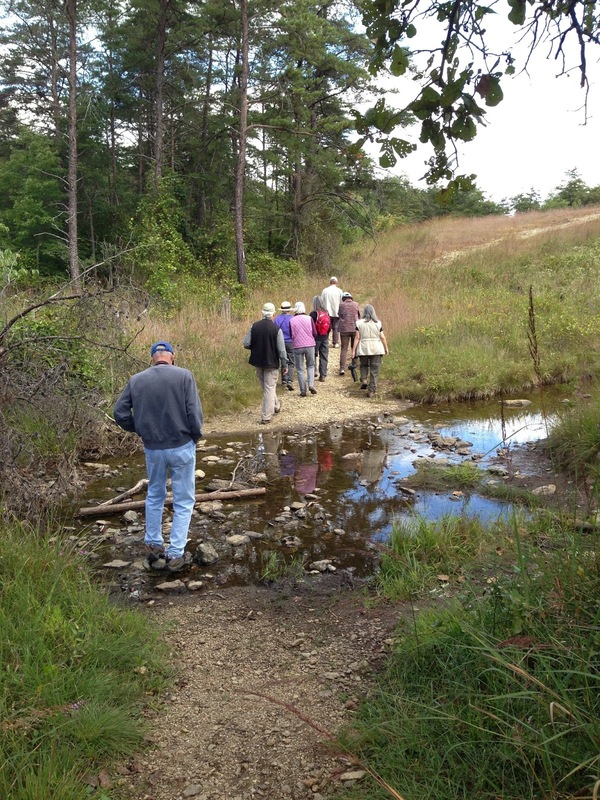 Eleven participants in a Chesapeake Audubon field trip experienced the surprise and pleasure of watching a SANDHILL CRANE as it flew east across the power cut as we watched from the south side of Serpentine (white) Trail. 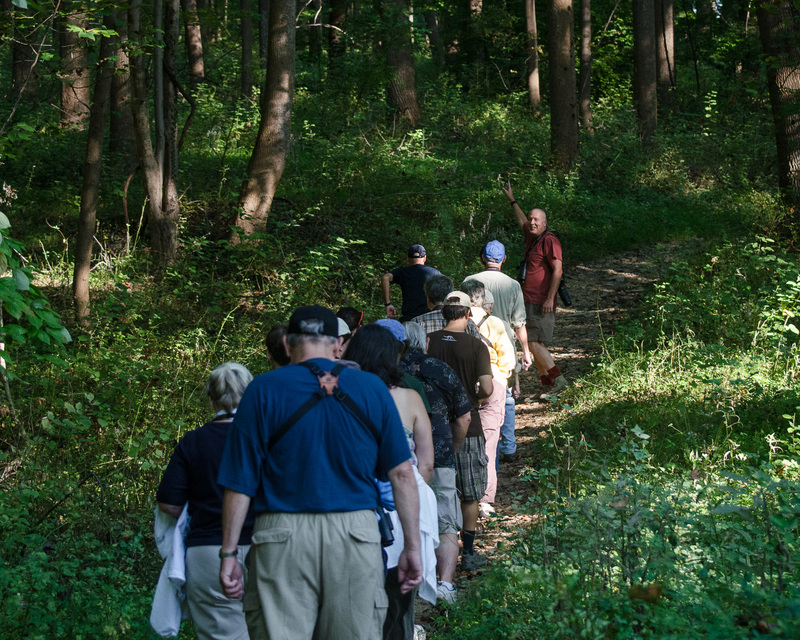 The birding overall was somewhat slow, but we managed to hit a nice pocket in the more varied bushy and wooded strip at the bottom. We enjoyed the active and singing Pine Warblers, as well as Black-Throated Green, Redstart, and other warblers. 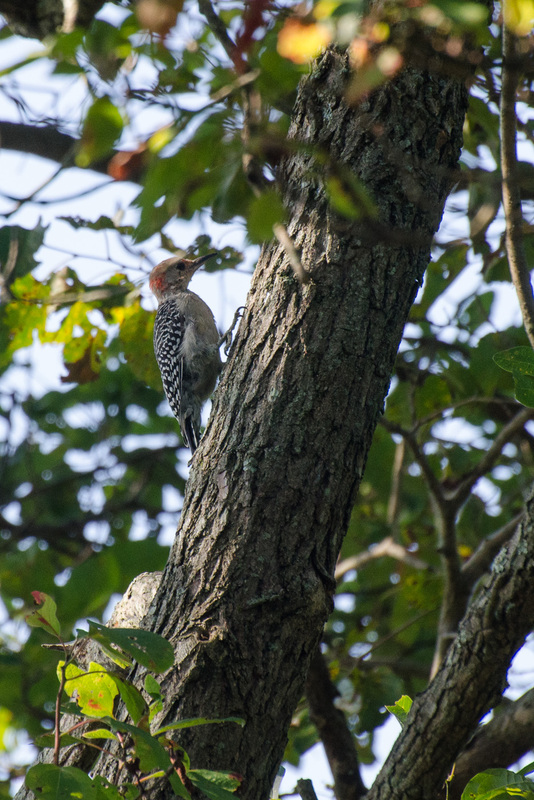 Good looks at a Pileated Woodpecker and at a Broad-Winged and a Red-Shouldered Hawk flying near each other. Also Yellow-Throated and White-Eyed Vireos. Very enjoyable walk in a unique environment. 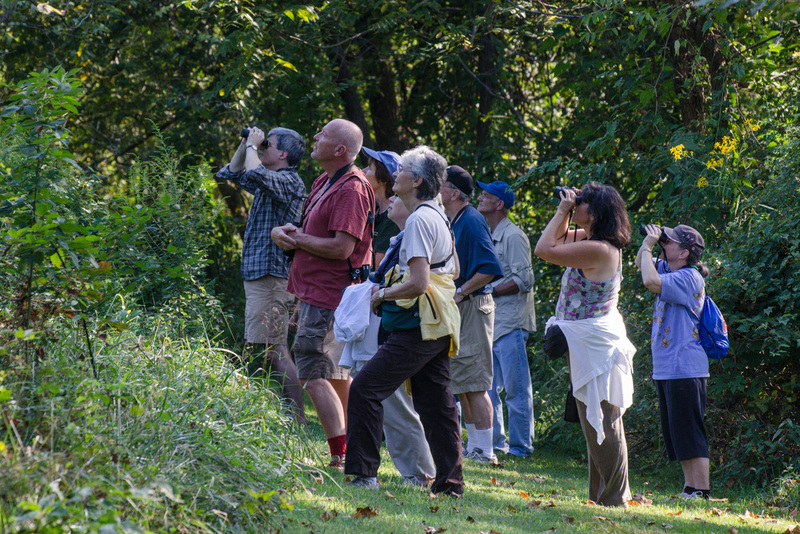 Fall migration is in full swing and Kye Jenkins led us on a terrific bird walk this morning. Photos by Fred Brundick. 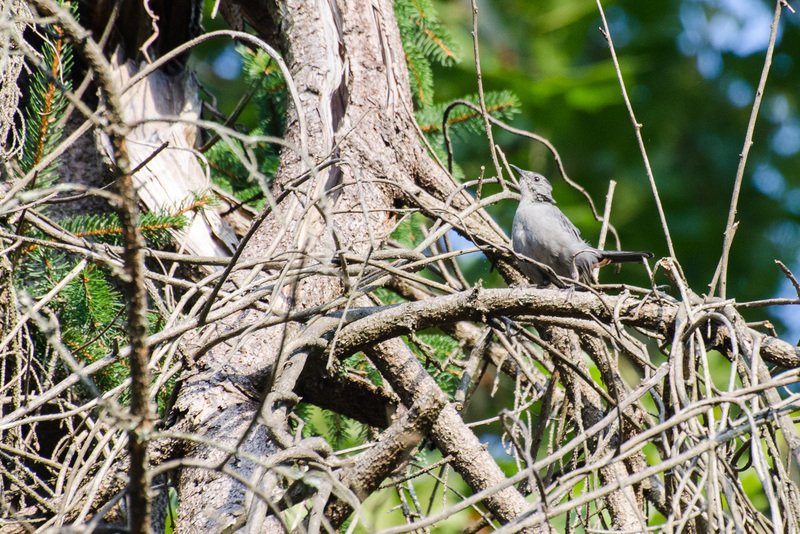 Catbirds were seen eating berries from Dogwoods and Pokeberries. 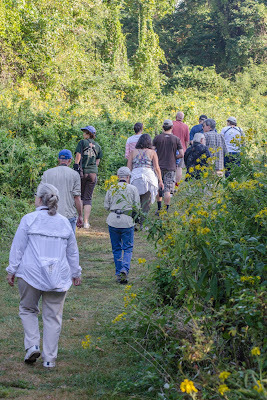 Looking for one of the many Red-eyed Vireos feeding and occasionally singing. 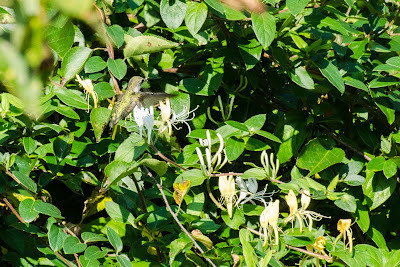 Many Ruby-throated Hummingbirds were seen. 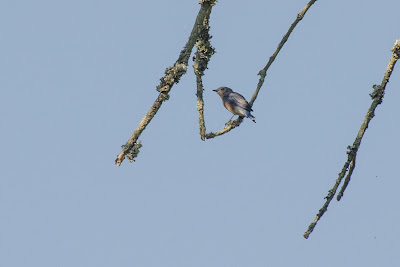 Cromwell Valley has an extensive Bluebird trail that is monitored by volunteers. Numerous adults and first year birds were seen. Kye is in the lead here. The back woods were quiet, but we did see Blue Jays, a Downy Woodpecker, and Carolina Wrens. 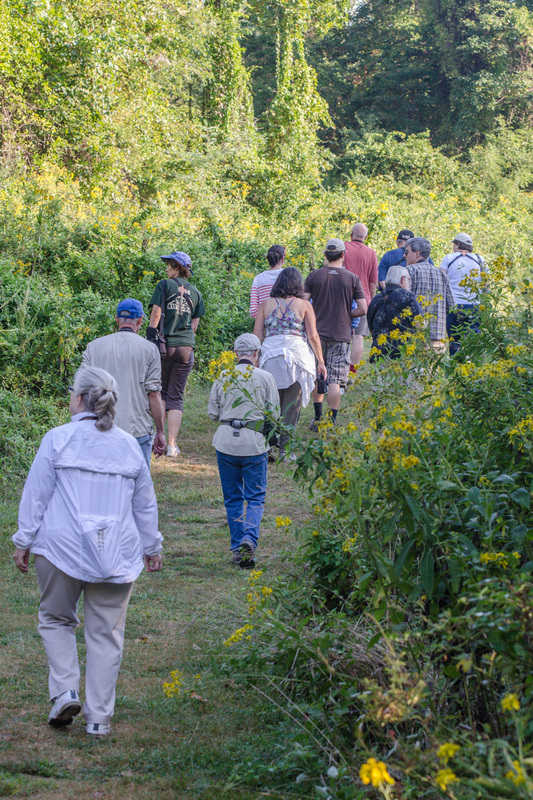 Wingstem was blooming on both sides of the trails. It is a member of the Aster family, and an important plant for bees. 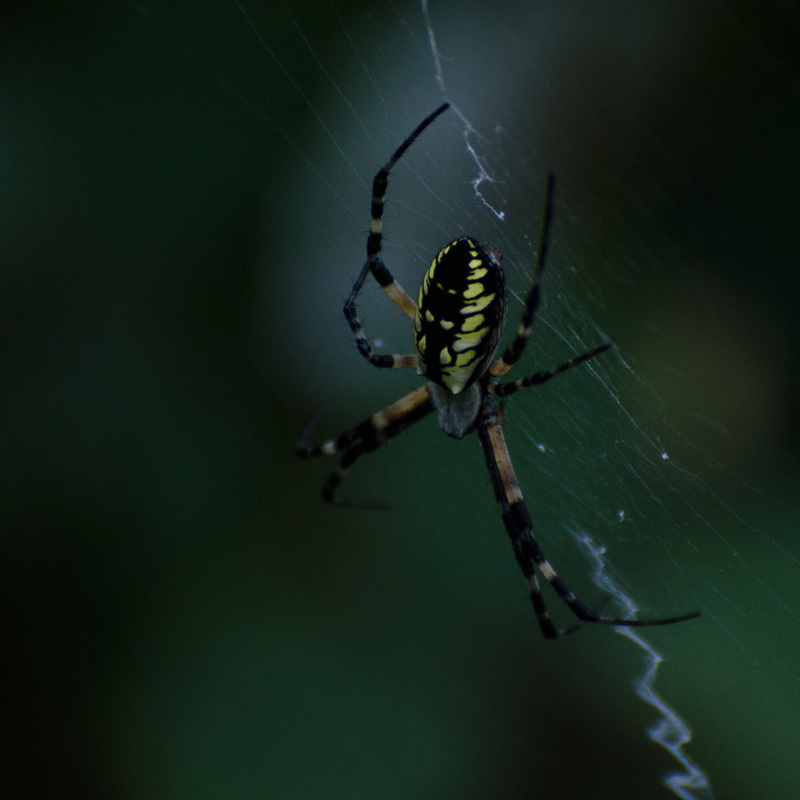 We also noted many beautiful spiders and their webs, including this Garden Spider. 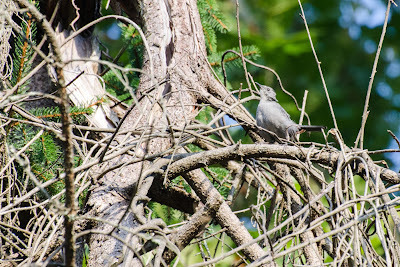 ﻿﻿﻿﻿ ﻿Other birds seen include Yellow-billed Cuckoo, Chimney Swift, Eastern Wood-Pewee, Blue-gray Gnatcatcher, American Robin, Chipping Sparrow, Brown Thrasher, Carolina Chickadee, Tufted Titmouse. 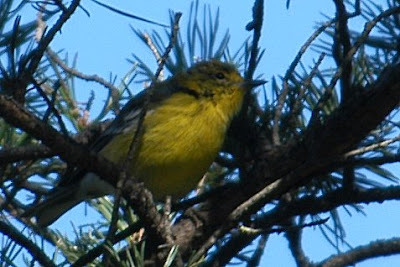 Other birders in the area reported Magnolia and Black-throated Green Warblers.